Howard P. Miller, DPM, jointed the Center for Orthopaedics & Sports Medicine (COSM) in 2000 but has been a practicing podiatrist since 1996. Dr. Miller specializes in the medical and surgical treatment of all foot and ankle disorders including diabetic care, bunions, hammertoes, warts, ingrown nails, foot and ankle trauma, wound care, and reconstructive surgery. Dr. Miller is a native of Butler, Pennsylvania. He received his Bachelor of Science degree in biology from Indiana University of Pennsylvania in 1990, where he was a member of the track and cross-country teams for four years. He graduated from the Ohio College of Podiatric Medicine in 1994 and completed a two-year residency in Marlborough Hospital in Massachusetts. Dr. Miller is a member of the American College of Foot and Ankle Surgeons, American Podiatric Medical Association, and the Pennsylvania Medical Association. 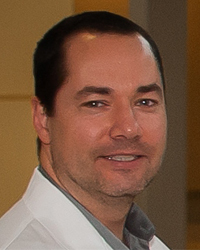 In addition to Indiana Hospital, Dr. Miller is a staff member at Punxsutawney Area Hospital, Western Pennsylvania Hospital, and The Pittsburgh Specialty Hospital. You can view a pdf of Dr. Miller’s Curriculum Vitae here.